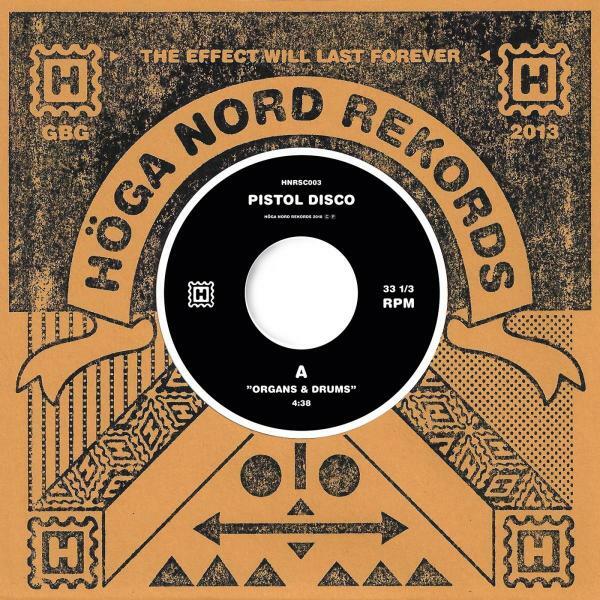 Hoga Nord Rekords first release was Pistol Disco. That was, of course, no coincidence. This time the armed disco-duo (Berlin-based producer Alexander Palmestal aka Mythologen and Gothenburg-based Mikael Enqvist) returns with a industrial and quite 'krauty' seven inch-revenge. First track 'Organs & Drums' will manipulate you like a Hare Krishna recruitee would - if he or she had a manic groove and swagger. B-side 'Beat of the Tune' has an autobahn baseline combined with a dreamlike landscape that will drag you up to a place where Neu! :s golden era echoes inside yer head like an appealing Conny PlankOCD!